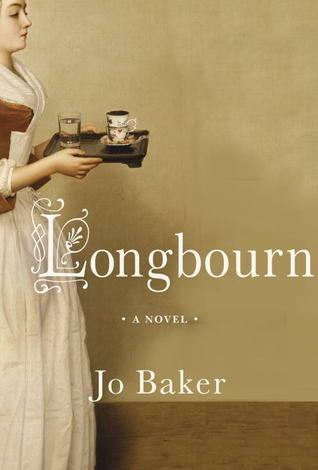 This was one of the most interesting and best spin-offs of a Jane Austen book I've read. Probably because it had nothing really to do with the story. Makes you think of the Bennet family much differently - maybe not love them as much. It definitely opened my eyes to the working classes at the time and the struggles they dealt with (ugh the description of diapers just about did me in - and I used cloth diapers! :). I really was annoyed with James and what he did near the end of the book - it seemed pretty stupid. Also, the ever switching of points of view got rather annoying sometimes. I didn't notice just how often it happened until someone pointed it out. It happened mid-paragraph sometimes! You just broke my heart a little. I've been wanting to read this one but there's no way i could stand the jumping from person to person mid sentence. Ha ha -- I was going to stay the same thing as Jenny. This book sounds really good, but switching viewpoint mid-paragraph? Ugh. That would make me crazy. I'm still going to read this one, though, especially because of the things you said in your "Things I Liked" section. Oh good. I'm glad I didn't deter you completely. I'll be interested in what you have to say!